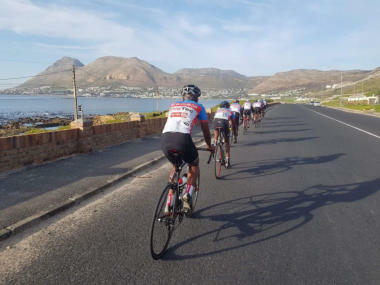 The Hout Bay Cycling Club was founded by a group of veteran cyclists who wanted to provide Hout Bay youngsters with an opportunity to experience the world of cycling while offering a healthy alternative to the negative influences found within their communities. By participating in our cycling programme the riders learn important life skills such as teamwork, discipline, dedication, and determination. In addition, the boys receive counselling about career and life choices. Our Mission The Hout Bay Cycling Club was founded by a group of veteran cyclists who wanted to provide Hout Bay youngsters with an opportunity to experience the world of cycling while offering a healthy alternative to the negative influences found within their communities. Goals • Use cycling as a positive force in members’ lives and as an alternative to negative influences. • Provide encouragement and guidance to club members, as well as to build them into productive, responsible citizens. • Teach teamwork, responsibility, and leadership. • Develop member’s cycling skills and facilitate their aspirations as cyclists. The Club The club currently has 14 members ranging from 14 to 21 years in age. The club has 4 volunteers that manage and run the club. The club meets 3 days a week, two week day training rides and at least one longer club ride on the weekend. During the spring and summer the members participate in Pedal Power Association events leading up to the Cape Town Cycle Tour. 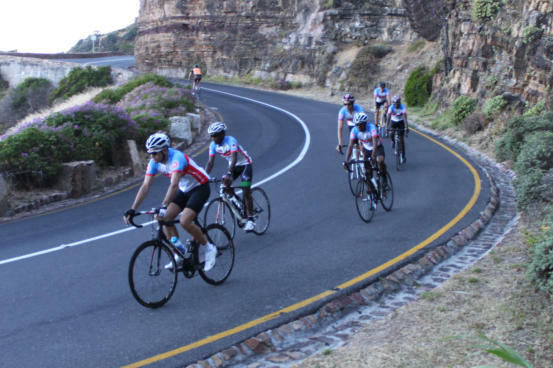 Hout Bay Cycling Club depends on support from corporations, non-governmental organizations, and individuals to keep our club running and riders on the road. 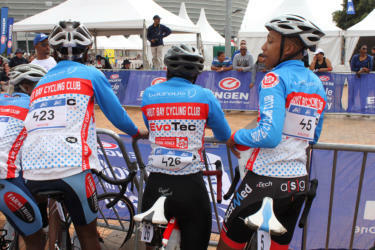 It costs about R 15,000 to equip one of our riders with a bicycle, kit, and accessories for a year. Here are a few ways you can help: • Cash Donation. If you would like to contribute cash please contact us by phone or email for our banking details • Equipment Donation. If you have any bicycles or cycling gear in good working order you wish to donate please contact us to arrange for collection. • Services and Equipment. Cycle related businesses that can donate equipment and services or offer a discount to the club are most welcome to also contact us. • Corporate Sponsorship. Does your company wish to offer sponsorship of the club? Please contact us to discuss. • Volunteer. Would you like to help lead rides? We have rides on Tuesdays and Thursday plus Saturdays and Sundays. Contact us for more details. We have other opportunities and areas in which your organizational skills could be put to good use - you do not have to be a cyclist to be of help.